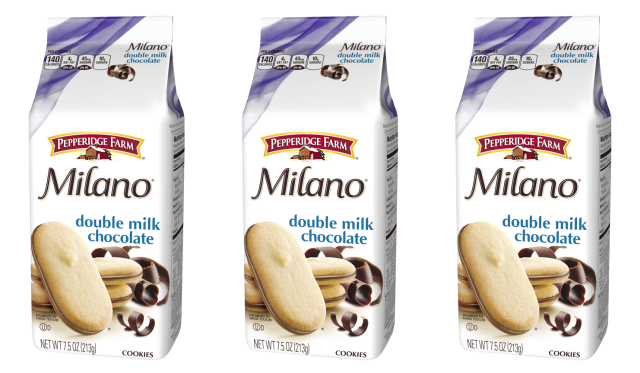 Since they've already put out Double Dark Chocolate and Milk Chocolate Milanos, Pepperidge Farm thought to combine the two to create new Double Milk Chocolate Milano cookies. 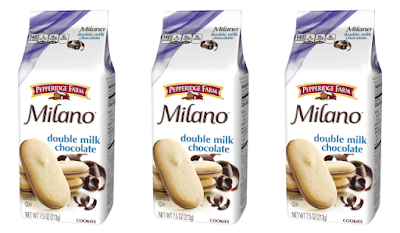 You can find the new flavor on retail store shelves nationwide for a suggested price of $3.69 per package. The timing isn't concidental: the brand planned the new product launch close to Mother's Day as an ideal gift for moms who prefer a double dose of chocolate in their cookies.